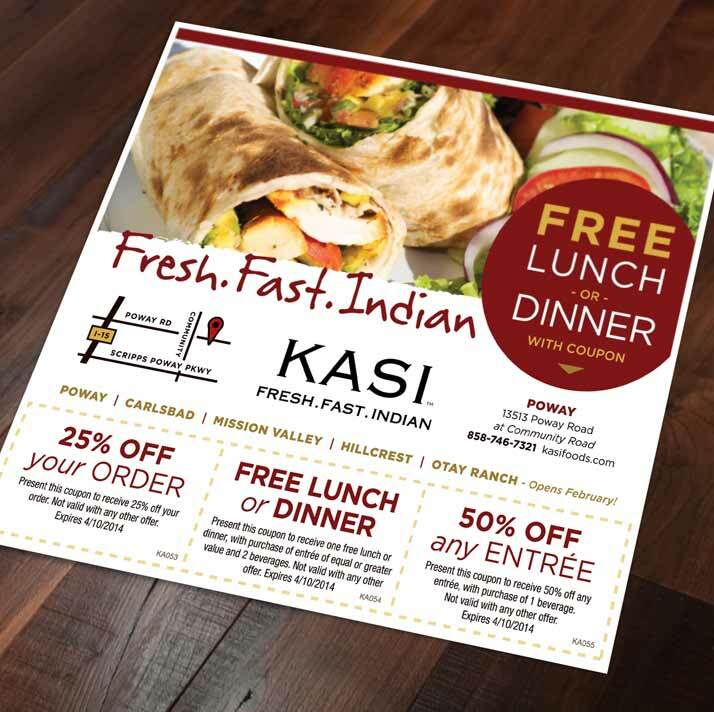 The Challenge: After launching their fast casual concept and growing to 5 locations, KASI Restaurants was ready to spread awareness through a targeted ad campaign. The Solution: After reviewing many advertising options I created a targeted campaign with online banner ads, Google paid search, Facebook page ads, half page print ads and double sided free standing inserts. 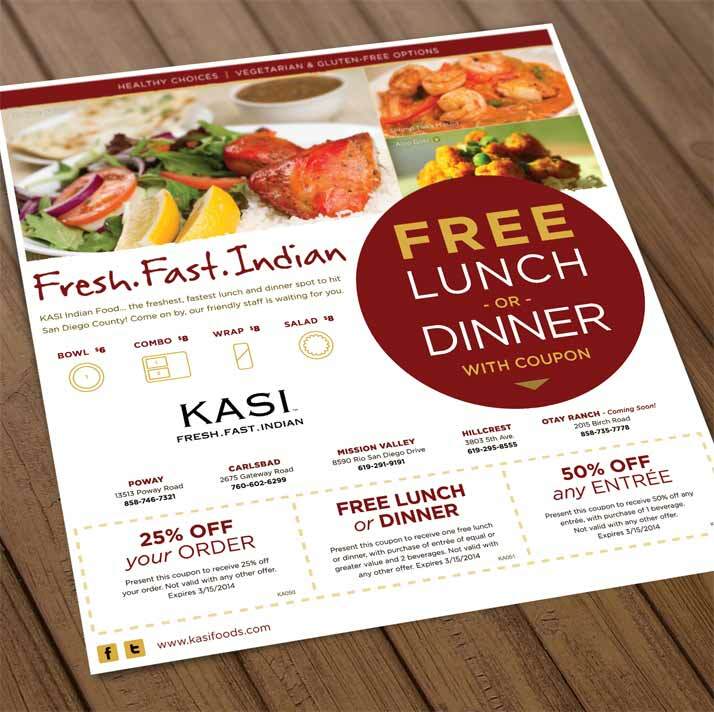 The print ad and insert creative was rotated monthly and measured by counting all coupon redemptions. 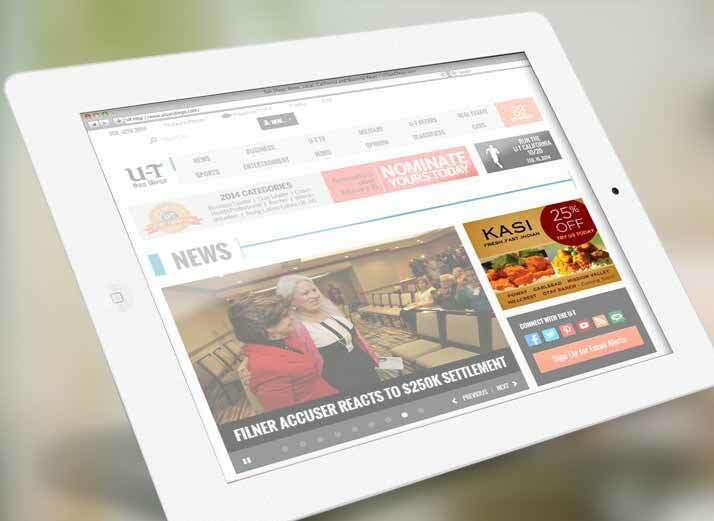 The online banner ads included a website landing page and coupon offer which allowed for detailed ROI analysis.